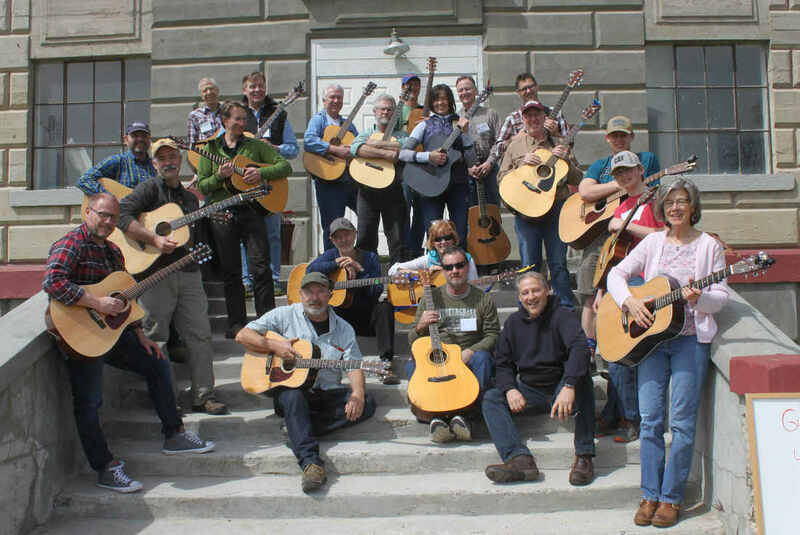 A grand time was had by all at the Weiser Bluegrass Guitar Camp!" Our goal is to provide an intimate, high quality learning experience for both rhythm and and lead bluegrass guitar, in an iconic setting - the home of the legendary National Old Time Fiddler's Contest. We intentionally schedule this camp well away from the time of the fiddle contest so there are minimal distractions from the learning experience. Whether it’s a simple jam session break on Wildwood Flower or a dazzling performance of Jerusalem Ridge by Tony Rice, who doesn’t like the excitement of good bluegrass guitar lead break? A well executed bluegrass guitar break is not just a continuous string of hot licks strung together, nor are hot licks even required to make a pleasing, tasteful break. 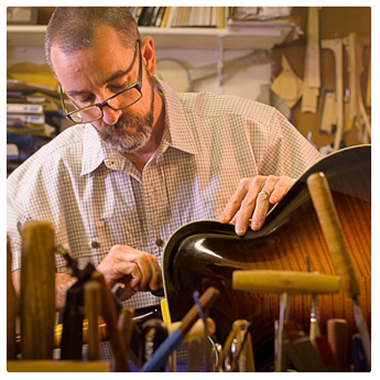 Regardless of your playing level, in a series of four classes, veteran bluegrass musician Joel Kaserman will improve your ability to confidently take lead bluegrass guitar breaks at the beginning and intermediate levels. Many of us have experienced the magic that happens when a great rhythm guitar player joins a bluegrass jam session. Instantly, everybody is playing better. Great bluegrass rhythm guitar isn’t just about playing the right chord at the right time or playing flashy G-runs. Bluegrass rhythm guitar is far more nuanced than that. Expert Glen Garrett will share his deep knowledge and experience and is sure to make you a better bluegrass rhythm guitar player, regardless of your current playing level, in a series of four classes. Saturday night is the instructors concert followed by more jamming, so we encourage folks to stay three nights (Thurs-Sat).